Often we can feel like we need to take drastic measures in order to bring about the changes we want to see in our weight. We want to see results NOW, not in 6, 12 or 18 weeks. We want to feel like we are getting somewhere, that we are making that transformation. So we become tempted by things that sell us that ideal; transformative programmes, juicing, shakes, detoxes and even dieting pills. There is no conclusive evidence that any of these methods are effective for long term weight loss success. Eating less and being overly restrictive can result in weight gain. Yes, dieting leads to WEIGHT GAIN. Research shows, 80% diets fail in the first year, and even more in the second. And, if you look even further down the line there is no long term evidence on the effectiveness of dieting. What the research demonstrates is that dieting leads to weight gain. Why does dieting lead to weight gain? Besides the psychological reasons I outline in the blog (you may find this post on why you need to give up dieting particularly relevant), physiologically, this diet induced weight gain, can be due to a concept called adaptive thermogenesis. The concept is thus; when you lose weight a physiological response occurs, your body does not want you to lose that weight so it releases certain hormones to slow down the weight loss reaction. This is because breaking down fat is difficult for the body to do and it needs some energy to do it. Even with all the willpower and self restraint in the world to overcome the increase in these hunger hormones, your body is too smart and it will still adapt by slowing down the energy you burn at rest, making you feel fatigued. Essentially, this is our body slowing down our metabolism to account for the deficit in food. So, you become hungrier and your metabolism is slower. This is why TV programmes such as The Biggest Loser are irresponsible as they promote short term weight loss which due to adaptive thermogenesis, alongside other psychological reasons, can result in long term weight gain. Studies have shown that some of the contestants metabolisms have now, post competition, have slowed down to less than 750 kcal a day (that’s the equivalent one burrito, a crispy chicken burger or 2 slices of pizza and nothing else a day). 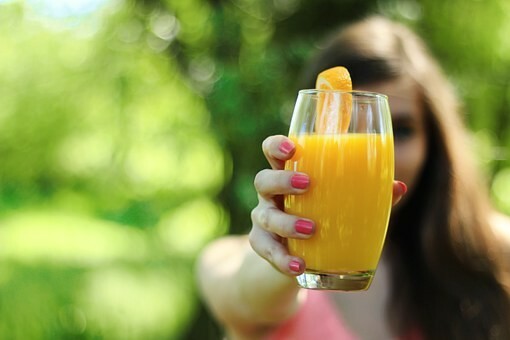 Research has shown that even as little as one juice a day is associated with increased risk of type two diabetes and long term weight gain. This is because the process of juicing often removes the majority of the insoluble fibre, vitamins and minerals that make fruit healthy, thus you are left with sugars, in high doses and no protein for that full feeling. 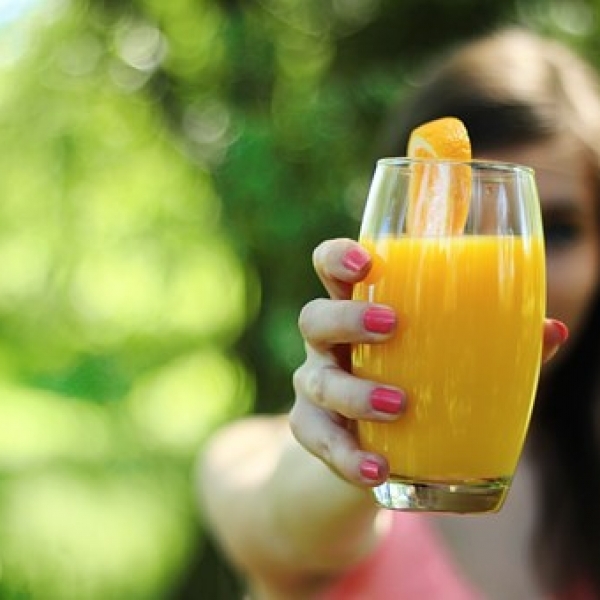 No published research currently supports the safety or efficacy of juice cleanses or fasts. The concept of a detox is a farce. Your body only has a certain capacity for daily removal of toxins. Detoxification is a continual, daily process that is enhanced by daily practices such as drinking water, having fibre rich whole grains, fruit, vegetables etc. There is no known way – certainly not through detox treatments, to enhance this system. If dieting leads to weight gain, what can you do for sustainable weight loss? I’m not sharing this to discourage you, but to empower you, to prevent you from doing something that will lead to weight gain. Also to support you, by sharing that there is an evidence based alternative to restriction and it comes in the form of building healthy habits. Building healthy habits although difficult at first, will lead to long term changes. A recent study by the American Psychological Association found that developing good habits is more important to meeting health goals than self-control. It turns out you are just as likely to default to positive habits such as eating a nutritious and filling breakfast or going to the gym as we are to sabotaging our weight loss attempts. This research shows that lack of control doesn’t automatically mean indulgence or hedonism. It is our daily routine that matters, the small, but consistent daily processes are what bring about change. Habits like establishing a healthy routine, eating a nourishing breakfast, mindful eating, and even drinking more water can contribute to your long term success. If your not sure where you should start, you could start with tracking your temptations to find out when your tempted most and why. This will give you a good indication of the best, and most targeted healthy habits for you to start with. You can then look to set one small goal a week to help tackle these temptations. By building up these small goals slowly, in time the healthier habit will become the automatic choice and cumulatively it will lead to your long term success.